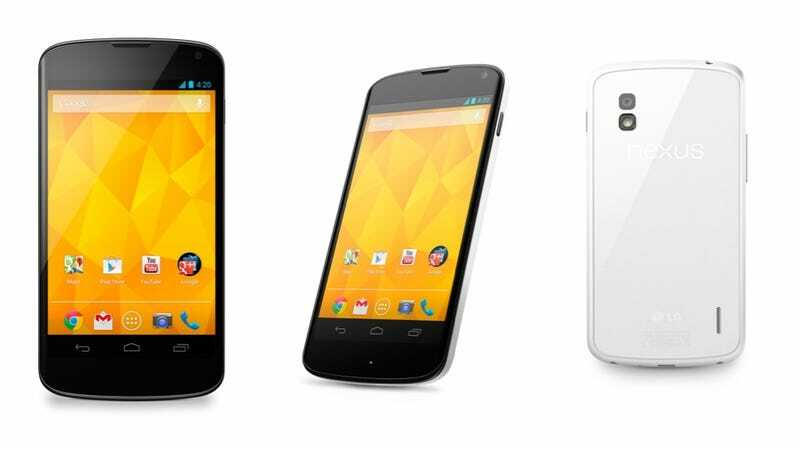 LG has finally confirmed that it's making a white version of the Nexus 4—but it's also admitted that it's not interested in manufacturing another Google phone. The white Nexus 4 is in every way identical to the black version. Except it's white. So, really quite a boring product announcement. It's not clear yet whether or not it will be available from the Play store yet, but it will be rolling out in North America in the coming months. Less boring, though, is the fact that LG Mobile's European VP, Kim Wong, has said that—despite the Nexus making a name for the company—it doesn't plan to make another Google phone. Asked by Dutch site All About Phones whether Samsung would release a Google edition of its flagship phone, Wong said that Google phones have "no added value for us without our own skins." He went on to explain that "the current duopoly of Google and Apple is not healthy for the market", and suggested that LG is keen to reduce its involvement with other companies.